Keep your service history up to date on your Land Rover and Mitsubishi without the hassle of being without your car for long periods of time. Happy clients already using the benefits of a fully mobile mechanical service have offered over 28 from the Melbourne Metro region. Take advange of the 51 Lube Mobile has in your area. Will (Mobile Code-N11) was an absolute delight to work with and explained what needed to be done and why clearly. I was incredibly impressed by the ease of the on-line booking process and the quick response with the quote via text xt and email. I have now booked my car in for a service and have requested that Will does this. Let us come to you. The easiest and most convenient way to ensure that you keep your service history up to date and on top of your car repairs is to have everything you need done at home, the office or wherever else you happen to be. 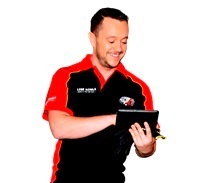 Our mobile mechanics are attending Hawthorn, Collingwood, St Kilda East and Elwood. We are everywhere and everywhen you need us to be. 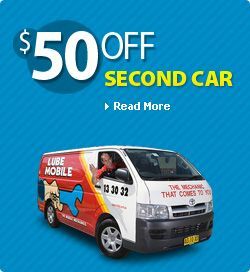 Lubemobile is Australia’s #1 fleet of mechanics servicing and repairing vehicles all over the country with over 1,046 vehicles attended to in your local area alone over the last 3 months. Regular vehicle services and jobs around your area have included Log book servicing. Our specialists have what they need to complete a full service and repair at your chosen destination including tyre replacement and specialty tyre related repairs, alternator inspection and replacement and stopping oil leaking from the gearbox. Our mechanics have typically serviced Toyota, Holden and Mazda in and around your area but all mechanics are experienced and prepared for any vehicle. Servicing and repairing all vehicle makes and models on site, recent jobs in and around your local region have been to attend vehicles like Holden, Proton and Subaru. Parts required for the job are with the mechanic or sourced quickly from only the highest quality providers. Typical parts carried by the mechanic have included spares like coil pack, power steering and distributor.